"As hundreds of North Carolinians face long lines at DMV offices around the state, Governor Cooper created a secret DMV office just for his friends." "Voter turnout in 2016 was reduced by approx. 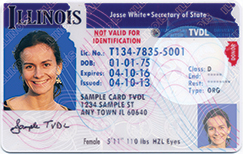 200,000 votes because of WI’s photo ID laws."